Yey! National Book Store will be bringing another author for a book signing event! 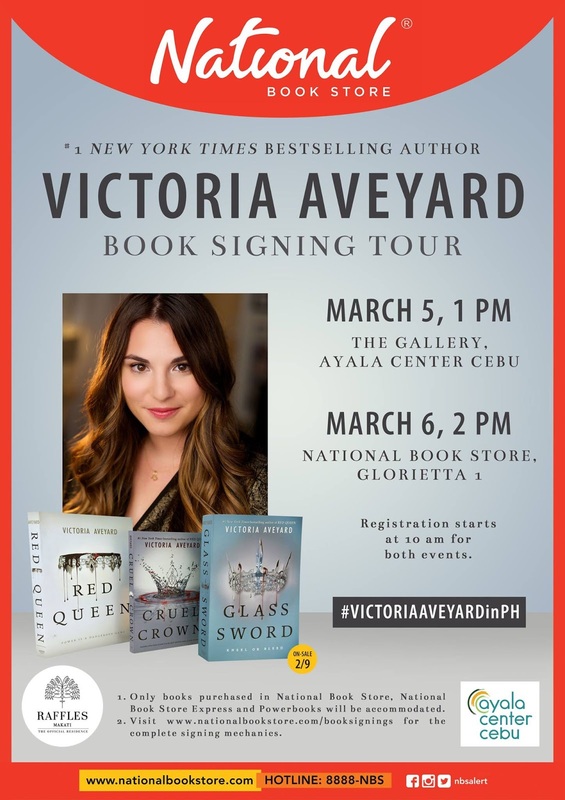 Victoria Aveyard! I haven't read Red Queen and Glass Sword yet, but now that the author's coming, they'll be on top of my TBR. And I'll be reading them very, very soon! For more details, visit the event's page on Facebook (click here).